World Down Syndrome Day (WDSD) has taken place annually on March 21st since 2012, as declared by the United Nations General Assembly. WDSD is a day of celebration, observation and recognition for people with Down Syndrome, their families, friends and also wider society. Each year, there is a “theme” to WDSD, and this year is no exception. The theme is simple – “leave no one behind”. Individuals with Down Syndrome are valued members of the community, and they deserve to live and work just as anyone else does. Unfortunately, the reality is that many people with this genetic disorder face negativity, discrimination and exclusion, alongside low expectations and attitudes which keep them from integrating with wider society, and the world of work. “Leave no one behind” seeks to promote and ensure human rights and a better quality of life for anyone who has Down Syndrome, both in Australia and overseas. This philosophy ties into the 2030 UN Agenda for Sustainable Development, a global initiative for people, planet and prosperity, which pledges that everyone’s needs ought to be taken into consideration. 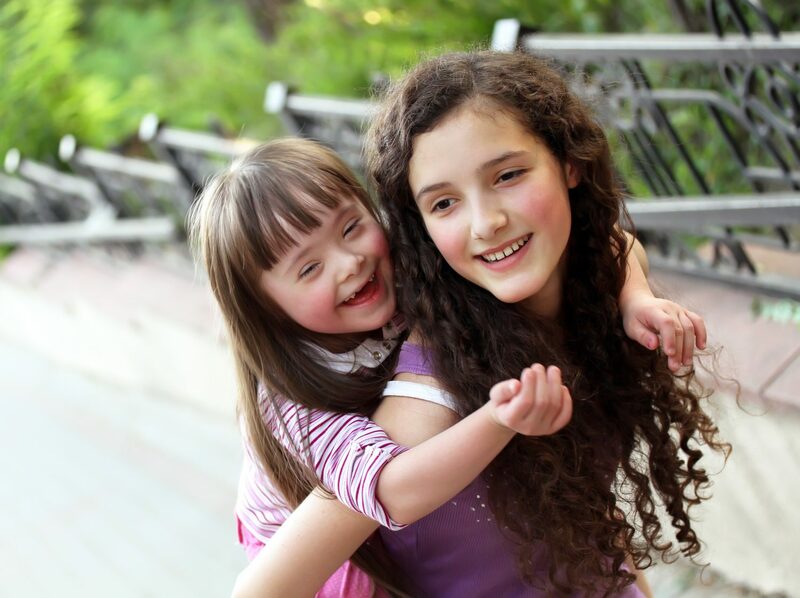 Organisations such as Down Syndrome International focus on areas such as lifelong personal development, access to healthcare and education, work, recreation, personal relationships and participation in public life. Those with the disorder must have such opportunities on a full and equal basis with those who do not. Most babies are born with 23 pairs of chromosomes, but Down Syndrome occurs naturally when a baby is born with an extra, third copy of chromosome 21. This is why WDSD is held on 21/3, because it’s symbolic! Down Syndrome exists all over the world, and in Australia, about 1 in every 1,100 babies are born with it. No two people with Down Syndrome are the same, although the disorder typically has variable effects on learning styles, physical characteristics and health. It’s important to remember that this means that levels of independence and abilities will differ greatly from person to person – the traits are on a spectrum. The reality is that a lot of people with Down Syndrome want to contribute to society, whether through volunteering, through active participation in the workplace, or through a myriad of other activities. Empowering individuals with Down Syndrome to reach their own goals is one of the aims of WDSD. Just like the individuals with the condition, these goals can be big or small, and entirely unique to them. A lot of people simply do not understand what it means to have Down Syndrome, nor do they fully appreciate the challenges that these individuals typically face over the course of their lifetimes. This means that they may be failing to support them properly in leading fulfilling lives. For example, a hiring manager might not understand how a particular individual with Down Syndrome could enrich a business, and therefore might not offer them any opportunities. Individuals with Down Syndrome have far more potential than they are often given credit for, and in many cases, can integrate well into a workplace. The lack of awareness about Down Syndrome often has a negative impact on those living with it, but once you understand it, you can be part of the solution. Awareness also needs to be raised about the fact that people with Down Syndrome play a huge role in our communities, and that each person is a valued individual with their own personality, likes and interests – just like anyone else! As allies, we need to speak up for individuals who have Down Syndrome, while also empowering those who have it so that we can campaign as a single voice. Everyone can play their part, from friends and family, to supporters, to health and social care professionals, schools, businesses, the media and public bodies. In order to bring about change, we must all be on the same page. This year, you can join in and advocate for inclusion, equal rights and wellbeing of people who have Down Syndrome, on WDSD and on every other day. The more people who speak out, the more people we can reach!